When hit by a drunk driver in Boston, you should obtain legal help as soon as possible so your lawyer can gather evidence and interview witnesses essential to proving your case. Early investigation helps assign fault to the drunk driver and any other responsible parties. With many drunk driving accidents, authorities also pursue a criminal case. The Law Firm of Jonathan D. Light, P.C. 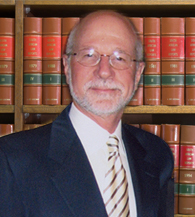 has more than 35 years of experience handling injury cases and can take the best approach for helping you maximize your recovery. Frequently, drunk drivers are involved in high speed crashes causing very serious bodily injury or death. The at-fault drunken driver may not have adequate insurance to cover your damages. Your accident attorney can evaluate the extent of your damages and determine if any parties in addition to the drunken driver are legally responsible for your damages. In any auto accident, the lawyer’s job is to identify liable parties. For example, if investigation reveals that the intoxicated driver was served liquor in a bar prior to causing the accident the owner of the establishment may be liable under Massachusetts dram shop law. Selling or serving alcohol to an intoxicated person is illegal in Massachusetts. Other situations may involve someone hosting a party in their home and serving alcohol to a visibly intoxicated person and allowing the intoxicated person to leave the party and drive. Any employer holding a company party would bear a similar liability for serving intoxicated guests. Also, any eating or drinking establishment or homeowner serving alcohol to a minor who becomes involved in an automobile accident may be liable for the damages caused by the minor. A case against a liquor establishment for serving an intoxicated patron may involve extensive investigation of the incident, interviews with other bar patrons, the waiters and waitresses or bar tender, the policies and procedures used by the liquor establishment to avoid serving intoxicated patrons. Aside from car crashes, drunken drivers can also cause serious personal injuries or death to a bicyclist or pedestrian. If you suffer injury as a result of a drunken driving accident, consult an experienced lawyer to protect your rights and recover compensation. Jonathan Light brings extensive experience to every case he handles, along with compassion and commitment to his clients. Call 617-245-0220 or contact the Law Firm of Jonathan D. Light, P.C. online to schedule your free initial consultation.